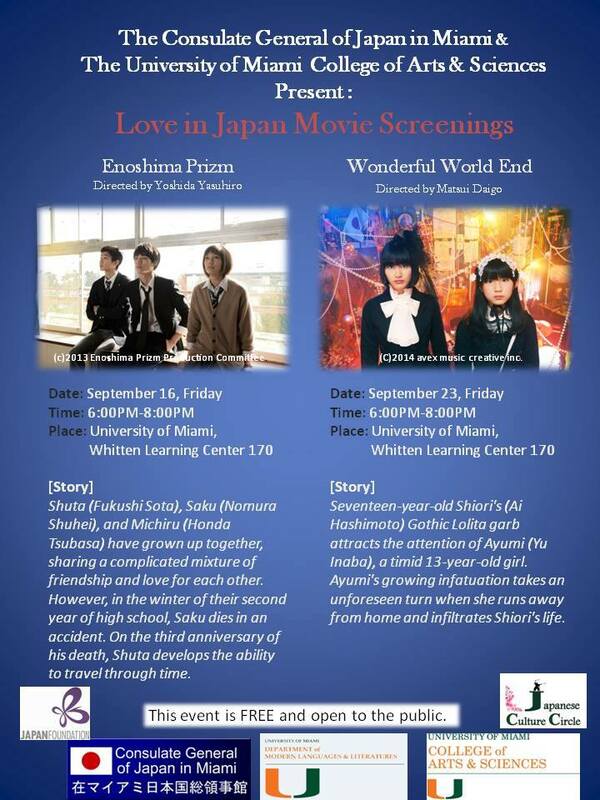 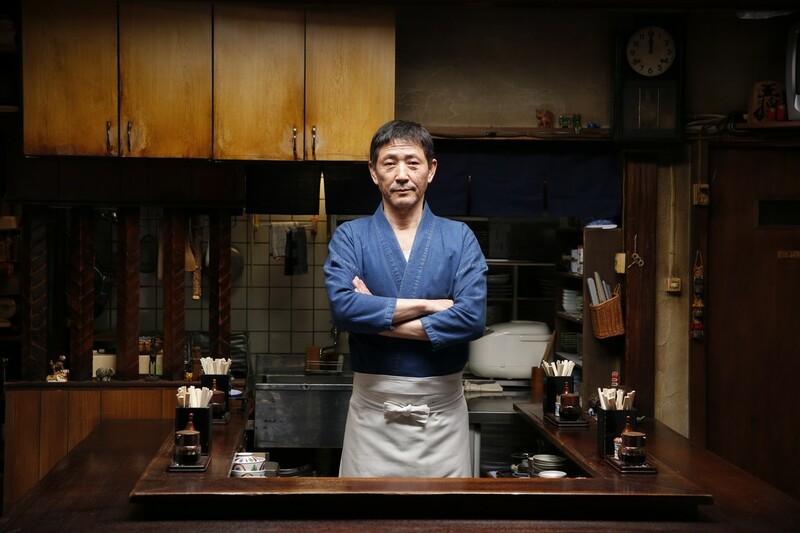 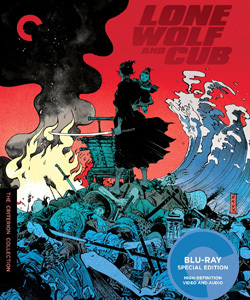 The University of Miami will present free screenings of 2 Japanese films on September 16th and 23rd, 2016. 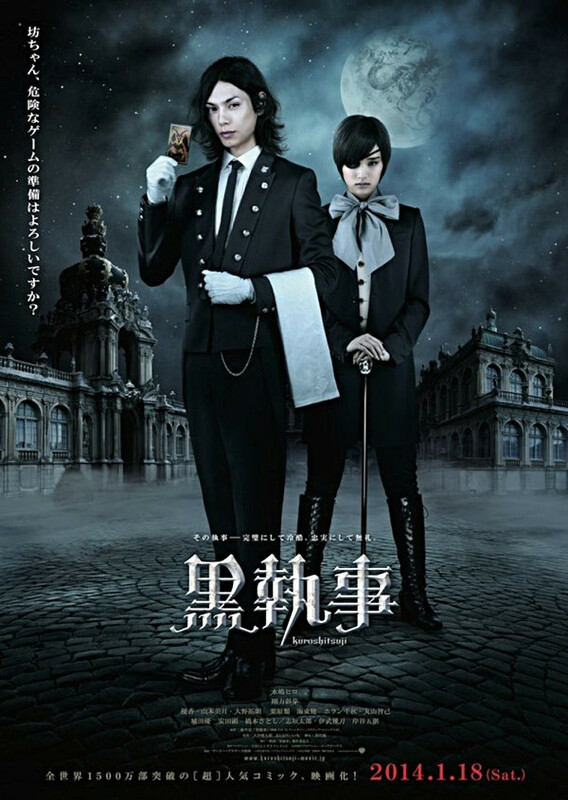 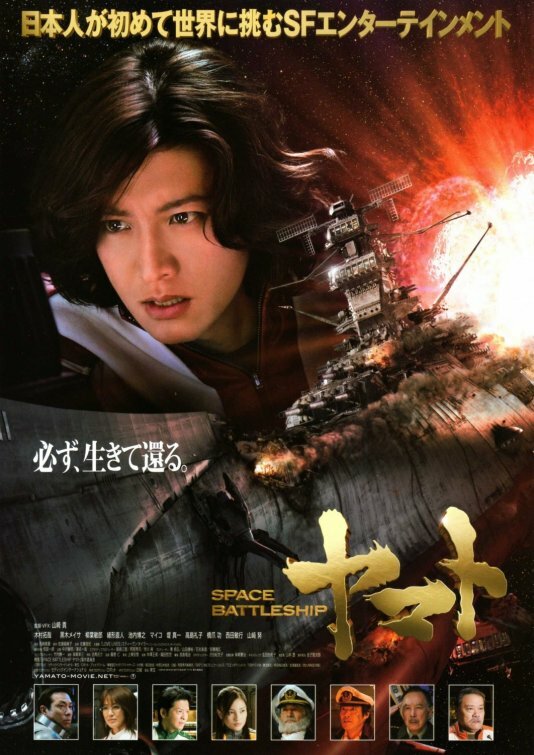 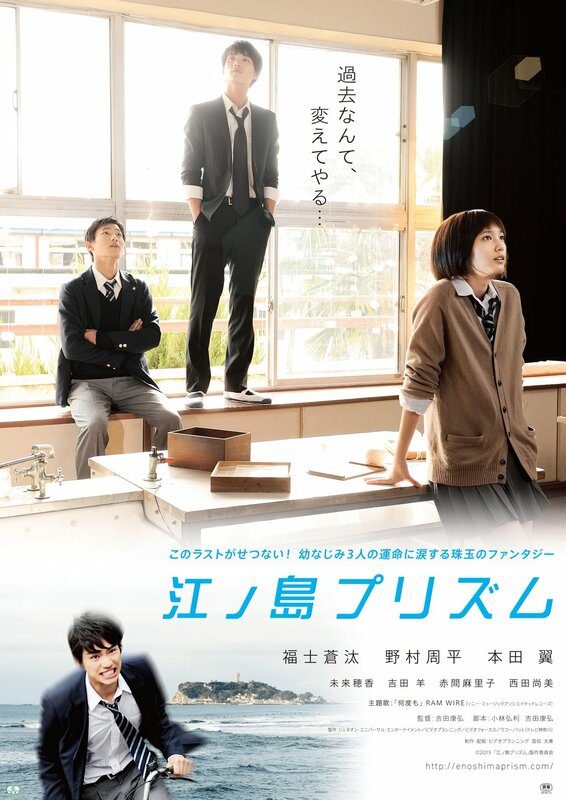 September 16 – The time-travel friendship drama Enoshima Prism, directed by Yasuhiro Yoshida, stars Sota Fukushi (Kamen Rider film series, Bleach), Shuhei Nomura (Litchi Hikari Club, Flying Colors), and Tsubasa Honda (GTO: Great Teacher Onizuka, Full Metal Alchemist) as high school friends bound by tragedy, and their journey to change to the past. 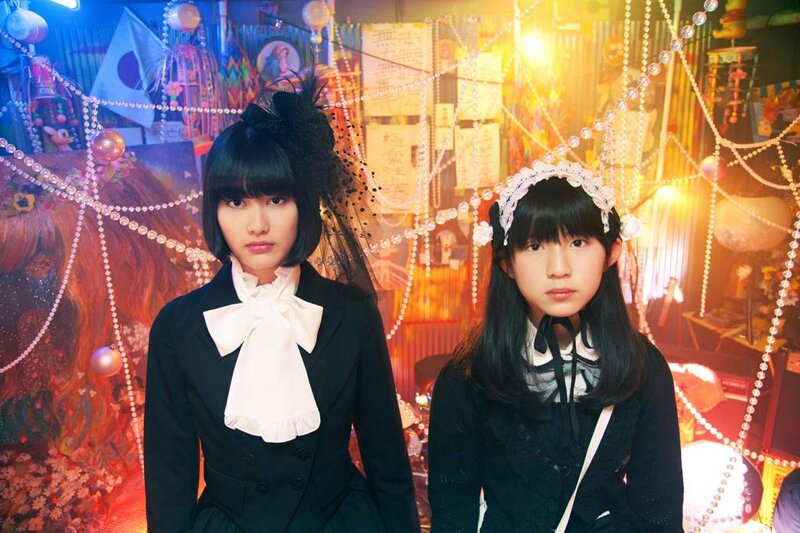 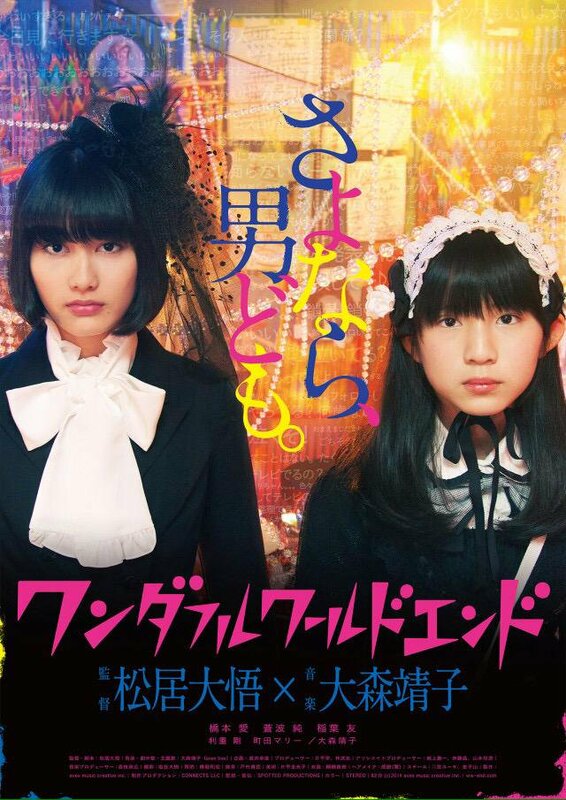 September 23 – Wonderful World End, directed by Daigo Matsui, is a teenage friendship drama rooted in modern-day digital communication, starring Ai Hashimoto and Jun Aonami and based on pop singer Seiko Oomori’s music videos.